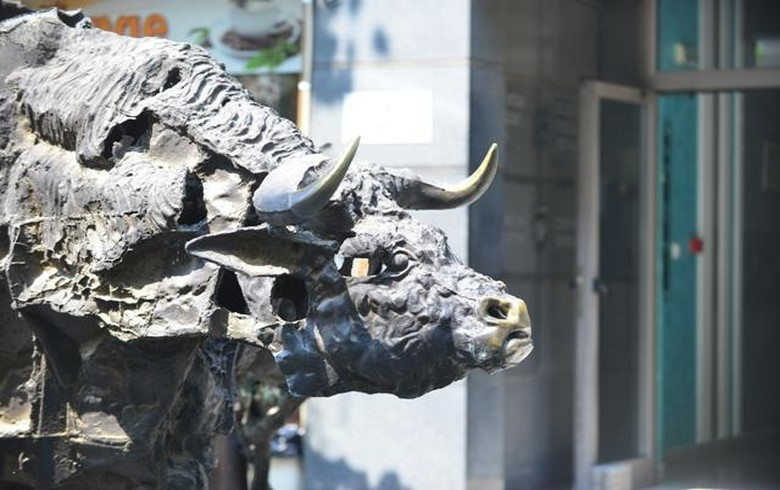 SOFIA (Bulgaria), March 25 (SeeNews) - The Bulgarian Stock Exchange blue-chip SOFIX index snapped a three-day losing run after gaining a slim 0.08% to 582.80 points on Monday. The main driver behind the increase was financial and insurance group Eurohold Bulgaria [BUL:4EH], which rose most among blue chips. Eurohold Bulgaria's share price grew 5.71% to 1.85 levs, amid media publications claiming that the company has entered the race for acquiring the Bulgarian assets of Czech energy group CEZ. Both Eurohold and CEZ declined comment on the reports in response to SeeNews enquiries. CEZ Distribution Bulgaria [BUL:3CZ] shares closed 4.0% higher at 208 levs, while the other publicly traded unit of the Czech group - CEZ Electro Bulgaria [BUL:1CZ], did not trade on Monday. The other big blue-chip gainer on Monday was lender Central Cooperative Bank (CCB) [BUL:4CF], which gained 4.40% to 1.66 levs. The BGBX40, which tracks the 40 most traded shares on the Sofia bourse, added 0.17% to 115.58 points, as Eurohold, CCB and CEZ Distribution Bulgaria rose most among its members. The BGTR30, in which companies with a free float of at least 10% have equal weight, edged down 0.02% to 503.55 points, as the shares of the Sofia bourse operator - Bulgarian Stock Exchange [BUL:BSO], fell 4.46% to 5.35 levs. The BGREIT index, which tracks real estate investment trusts, dropped 0.11% to 120.14 points, solely due to a 0.53% fall in the share price of Bulgarian Real Estate Fund REIT [BUL:5BU]. Total trading turnover on the BSE regulated market plunged to just 185,000 levs ($107,000/95,000 euro) on Monday from 1.2 million levs on Friday.